For some added traditional style in your bathroom, choose this beautiful vanity. With a white marble counter and brown solid wood base, this piece is very stylish. Its double-door cabinet and drawers have lots of room to keep all of your bathroom items. Redo the style of your bathroom with this classic from Wyndham Collection. 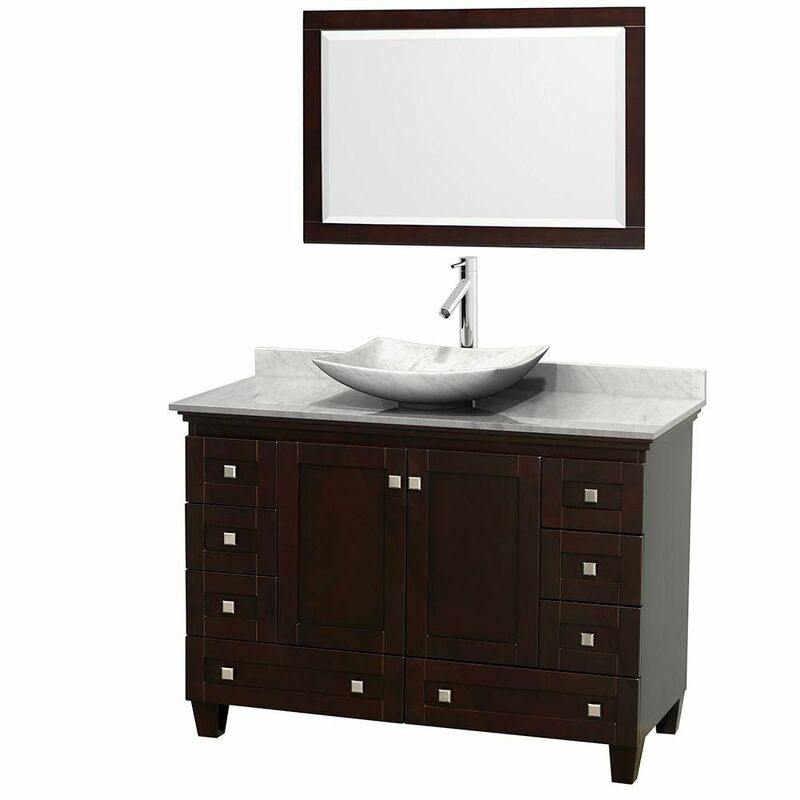 Acclaim 48-inch W 8-Drawer 2-Door Freestanding Vanity in Brown With Marble Top in White With Mirror For some added traditional style in your bathroom, choose this beautiful vanity. With a white marble counter and brown solid wood base, this piece is very stylish. Its double-door cabinet and drawers have lots of room to keep all of your bathroom items. Redo the style of your bathroom with this classic from Wyndham Collection. Acclaim 48-inch W 8-Drawer 2-Door Freestanding Vanity in Brown With Marble Top in White With Mirror is rated 4.0 out of 5 by 2. Rated 3 out of 5 by bj01 from We were ready to install the sink and discovered that it had a crack in it, hoping that Home Depot will exchange it and make it right. Rating TBD I like this vanity and am excited to get it all installed, however we just discovered that the sink has a crack in it. I'm hoping that Home Depot will exchange with a new one promptly.